NTT DoCoMo's i-mode is known as a mobile internet service which is popular in Japan. 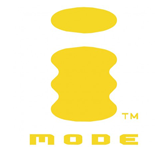 i-Mode was discovered by a team led by Mari Matsunaga in February 1999 at NTT DoCoMo. I-Mode tutorial discusses about the basic concepts and applications of i-Mode. i-Mode tutorial is designed for the candidates who wants to understand the basics of i-Mode in an easy manner. To learn this tutorial one must have a basic understanding of the terms used in Networks and Telecom domain.